A major family event prevented me from attending Suncoast Diecasters‘ October meeting. So, Original Ken dutifully stepped in to provide photos for the update. It’s been a while since we posted any photographs of members’ table collections — the overwhelming majority of our pics are after-purchase or after-trade. 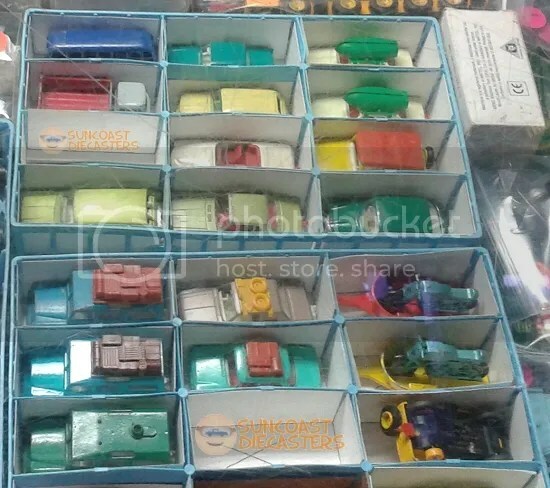 Ken has provided a few shots of Big Tractor Mike’s collection. These images illustrate only a small portion of his items, which usually take up an entire pool table (not to mention side-stacks). From Big Tractor Mike’s collection. From the collection of Big Tractor Mike. From the big tractor of Collection Mike. 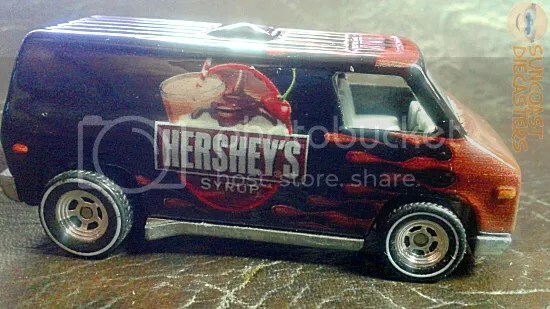 Just to prove my point about the after-purchase photos, here’s a photo of the Hot Wheels ’70s Van, which Ken took after purchasing said van from BTM. I just realized, those aren’t flames, it’s the syrup. Cute (I guess). 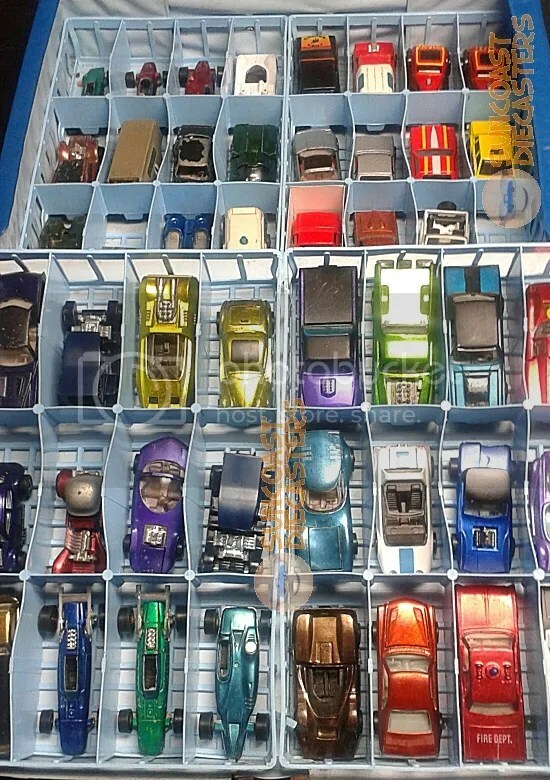 Ken took this photo of a collector case full of bins which in turn are themselves full of classic Redlines, after (note the pattern) Mike got them from Jim in a trade. This is how one super-increases the value of one’s collection in a single move. 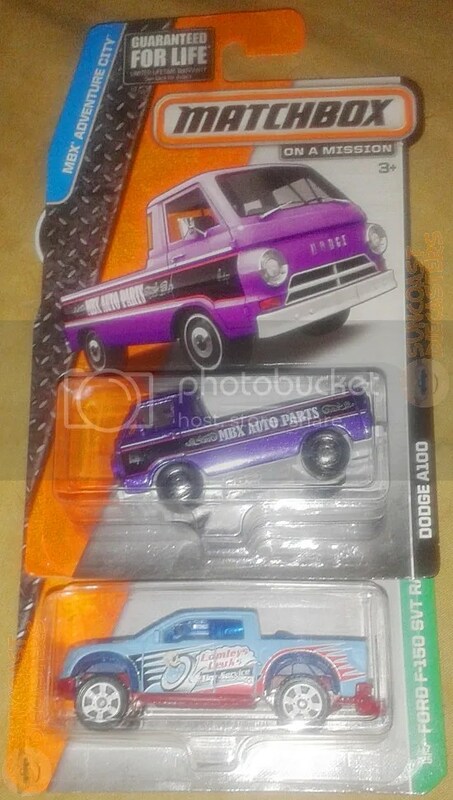 Matchbox Dodge A100 and Ford F-150 Raptor, from Jim to O’Ken. Apparently, the A100 is the world’s first reverse wheel-stander. O’Ken then purchased this Corgi garbage truck (yes!) 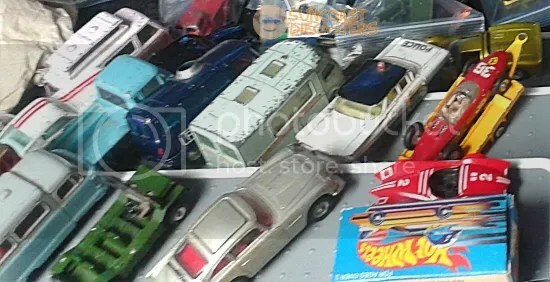 and three Kenner Fast111s from Jim. The KF1s are (L to R) Cyclone 3, Sporty Shifter and Cam Rammer. 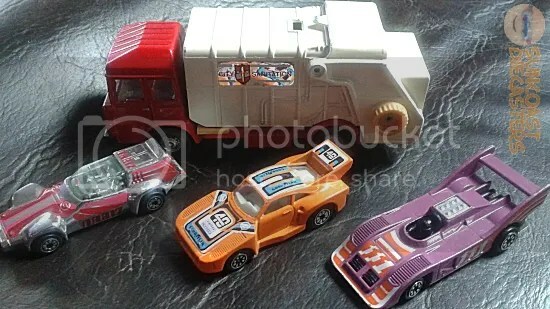 Exactly three photographs ago, I mentioned that Mike got from Jim a bushel of Redlines in a trade. So, what did Jim get? 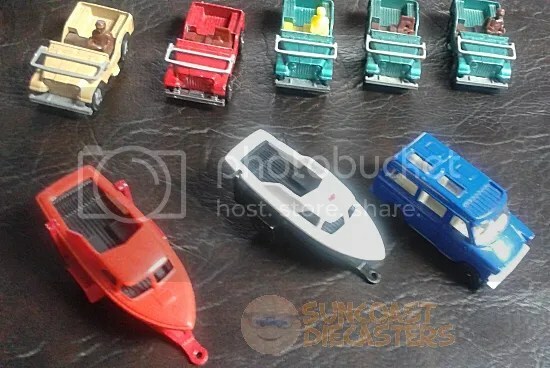 These five Corgi Jr / Husky jeeps, two Playart cabin cruisers, and a blue Corgi Martin Walter Ford Transit Caravan. Variety is the spice of collecting. I was intrigued by the stunningly long and surprisingly specific name, “Martin Walter Ford Transit Caravan”, so I did some research. Martin Walter was a coachbuilder; the company would take the Ford Transit and customize it with extra sleeping space and other amenities. This converted model would then be called the Dormobile. So, this Corgi is not simply a rare toy, it’s doubly rare because it’s based on a specific real-world customization not seen from other toymakers. Thus, this miniature easily earns its place as Suncoast Diecasters‘ Find of the Month(*) for October 2016. The site below, written in Hungarian, features many great Dormobile advertising images. See you at K-Day, then at our November meeting! 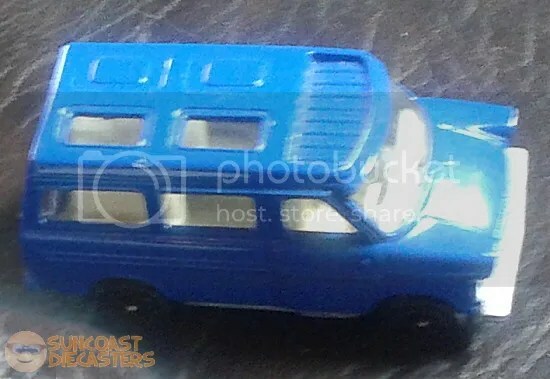 This entry was posted in Corgi, Husky, Kenner Fast111s, Playart and tagged Dormobile, Redlines. Bookmark the permalink.